Sorry, this combo is no longer available. In this special, get both the popular book and Sr. Joan's compelling teaching on the journey from struggle to transformation. Who hasn't experienced a struggle that seemed insurmountable? A brokenness of soul that seemed crushing? 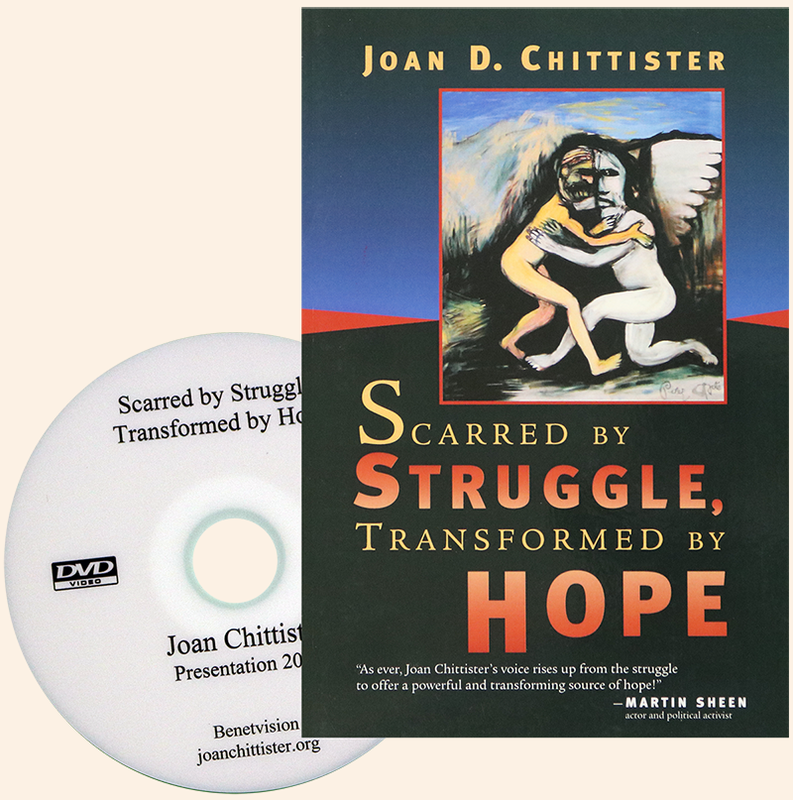 Joan Chittister provides tools to help you analyze your own stories of struggle in this presentation based on her book. She will suggest the gifts that each struggle can give as you move toward hope and transformation. For Scarred by Struggle book, (Regular $14) Click here. For Scarred by Struggle on DVD, (Regular $20) Click here.